Nine New Novellas by Jay Dubya (English) Hardcover Book Free Shipping! Suite 16 by Jay Dubya (English) Paperback Book Free Shipping! Suite 16 by Jay Dubya (English) Hardcover Book Free Shipping! 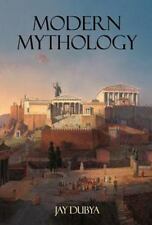 Modern Mythology by Jay Dubya (English) Hardcover Book Free Shipping! Enchanta by Jay Dubya (English) Hardcover Book Free Shipping! Modern Mythology by Jay Dubya (English) Paperback Book Free Shipping! Space Bugs by Jay Dubya (English) Paperback Book Free Shipping! Space Bugs by Jay Dubya (English) Hardcover Book Free Shipping! Pot of Gold by Jay Dubya (English) Paperback Book Free Shipping! Nine New Novellas by Jay Dubya (English) Paperback Book Free Shipping! First Person Stories by Jay Dubya (English) Hardcover Book Free Shipping! The Psychic Dimension by Jay Dubya (English) Hardcover Book Free Shipping! The Psychic Dimension by Jay Dubya (English) Paperback Book Free Shipping! Time Travel Tales by Jay Dubya (English) Hardcover Book Free Shipping! First Person Stories by Jay Dubya (English) Paperback Book Free Shipping! The FBI Inspector by Jay Dubya (English) Paperback Book Free Shipping! Pot of Gold by Jay Dubya (English) Hardcover Book Free Shipping! Time Travel Tales by Jay Dubya (English) Paperback Book Free Shipping! Pieces of Eight by Jay Dubya (English) Hardcover Book Free Shipping! One Baker's Dozen by Jay Dubya (English) Hardcover Book Free Shipping! Snake Eyes and Boxcars by Jay Dubya (English) Hardcover Book Free Shipping! Snake Eyes and Boxcars by Jay Dubya (English) Paperback Book Free Shipping!